Everyman Media, the holding company behind theEveryman Cinema Club in London, is targeting investors toco-finance short and feature-length films by emerging directors. Everyman said it would seek to produce a slate of"original stories in commercial genres that are both set and shot in the UK." The group said that it hoped thefilms would then be shown at international film festivals before being soldworldwide for theatrical, home video, and new media deals. The first production, with Zoom Films, is CassiusMatthias' Trent 2 Rent, a 24-minuteshort starring Diana Quick, Dan Cade and Ashley Rolfe. Described as a dark comedy, the film is about theunderworld of male prostitution in London. Matthias,who has set up Zoom Films, previously worked as an assistant to Anthony Minghella. The short will be edited by ValkerioBonelli (Gladiator)while Val Wardlaw (Harry Potter) will serve as special effects supervisor. Everyman's first feature-length production (also withZoom), will be love story Aerial Atlas,shooting in Italy in spring 2006. 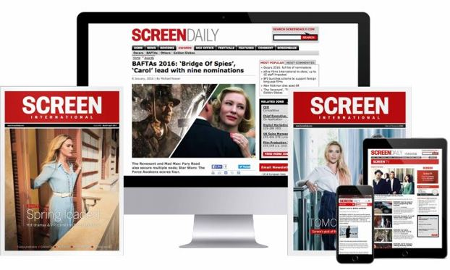 "With digitaltechnology completely revolutionising the film industry on every level, we'reproviding a platform for new filmmakers to break through, bringing intelligentand original stories to an ever-discerning market whilst creating excitingopportunities for those looking to invest in entertainment properties andquality talent," said Everyman Media's managing director Daniel Broch.